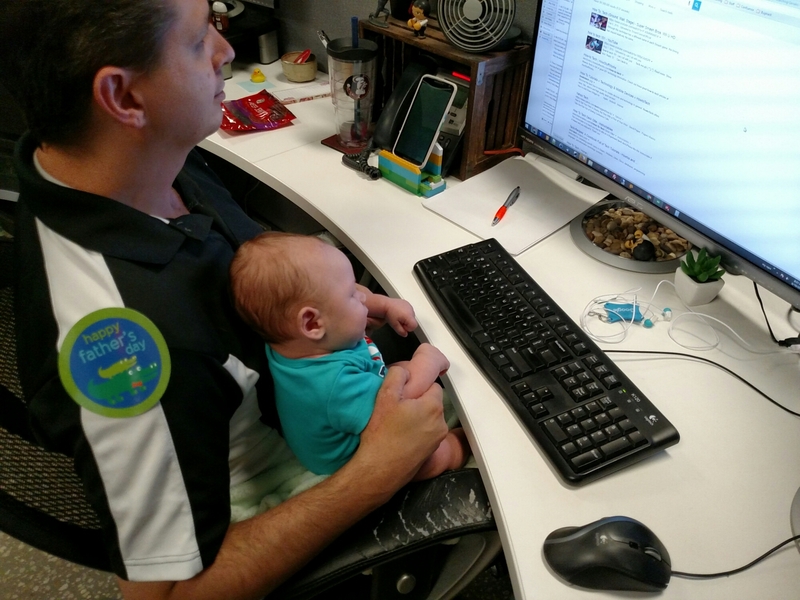 It’s daddy’s first father’s day too but he had to work. We went and surprised him at work with pizza for his crew. He showed you how to do some basic commands on the computer and you were so amazed. It’s truly amazing to see the way he loves you and wants to share his world with you. I can’t wait to see how you two are during football season!